I graduated with honors from Rose State College in 2016 with an Associates degree in Dental Hygiene. I was awarded the 2016 Ideal Dental Hygienist by the Oklahoma Dental Hygienists’ Association. 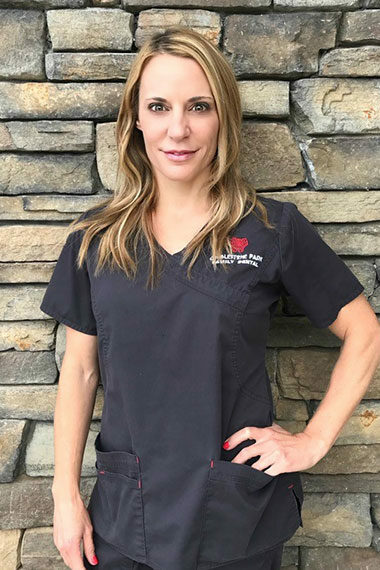 I began my career in dentistry over 16 years ago as a certified dental assistant, 12 of which were with Dr. Jennifer Chambers and Dr. Cory Chambers. I was always interested in a health‐related career and am elated to begin this next phase of my dental career. I find great joy in caring for others and helping them through dentistry. A healthy smile is priceless commodity. Your health is my top priority. I have been married to my husband, Marshal for 7 years. We have two boys Jake and Cruz. I love spending time with my family, hiking, kayaking, and being outdoors.